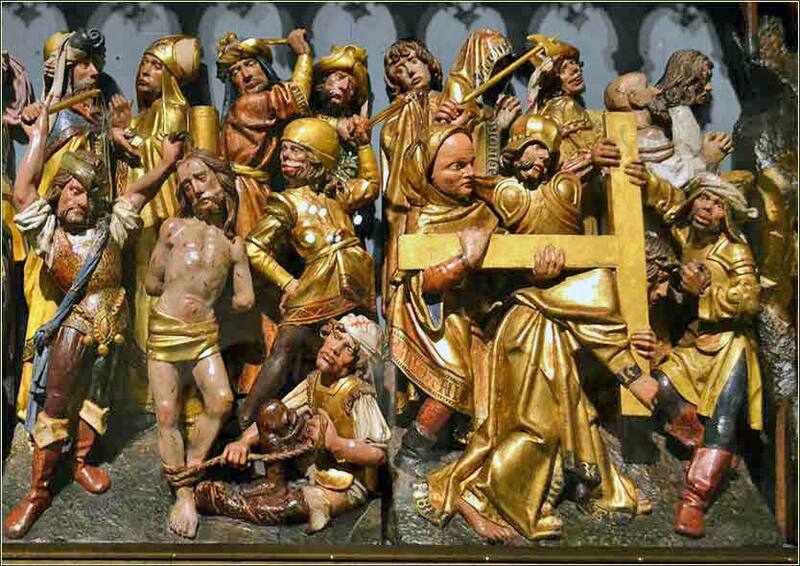 15th Century Belgian altarpiece, showing the flogging of Christ. 403 people in our community are currently praying with you. The Passion of Christ is followed in every corner of the world. Here is a Lenten Hymn from our brethren in Sri Lanka (Ceylon). We may be divided by distance, language and culture, but we all remember Christ's death and rejoice in His resurrection. Almighty God, you alone can bring into order the unruly wills and affections of sinners: Grant your people grace to love what you command and desire what you promise; that, among the swift and varied changes of the world, our hearts may surely there be fixed where true joys are to be found; through Jesus Christ our Lord, who lives and reigns with you and the Holy Spirit, one God, now and forever. Grateful thanks I render now. None can give to us, but Thou. May it please you, my good Lord, that there may come a day when I can repay a little of my great debt to you. O Jesus, strengthen my soul, you who are good above all good, and since you have inclined my soul in this way show me how I may act for you, whatever it may cost, O Lord. Here is my life, my honor and my will; I have given them all to you and they are yours: use me to do whatever you want. "And having been perfected, He became the author of eternal salvation to all who obey Him." Pilate entered into the Praetorium again and said to Jesus, "Where are You from?" But Jesus gave him no answer. So Pilate said to Him, "You do not speak to me? Do You not know that I have authority to release You, and I have authority to crucify You?" Jesus answered, "You would have no authority over Me, unless it had been given you from above; for this reason he who delivered Me to you has the greater sin." As a result of this Pilate made efforts to release Him, but the Jews cried out saying, "If you release this Man, you are no friend of Caesar; everyone who makes himself out to be a king opposes Caesar." Therefore when Pilate heard these words, he brought Jesus out, and sat down on the judgment seat at a place called The Pavement, but in Hebrew, Gabbatha. Now it was the day of preparation for the Passover; it was about the sixth hour And he said to the Jews, "Behold, your King!" So they cried out, "Away with Him, away with Him, crucify Him!" Pilate said to them, "Shall I crucify your King?" The chief priests answered, "We have no king but Caesar." Pilate's reaction to Jesus' answers is markedly different from the reaction of Annas and Caiaphas. Jesus is as uppity with Pilate as he was with the high priests; but instead of punishing him for lack of respect, Pilate is impressed by his answers. Pilate points out his obvious power: He can do to Jesus whatever he wants. He can set him free, or release him, or anything in between. But when Jesus shows no fear of his authority, it moves Pilate in his favor. 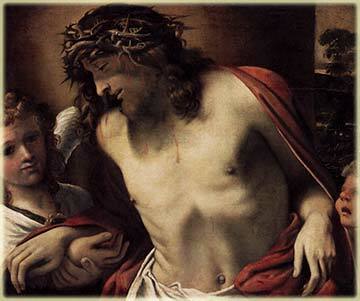 Was Pilate tempted to believe that Jesus was actually the Son of God? It is not impossible. Something stirred him to try to set Jesus free, repeatedly, despite an angry mob yelling for his crucifixion. And Pilate insists on calling Jesus the "King of the Jews". It is also possible that Pilate was simply somewhat amused by Jesus' sheer gall; that he liked him, and did not see him as a political threat. But Pilate was a political animal. He was no doubt ambitious, and also, afraid of the Roman Emperor, Tiberius Caesar. Thus, he is swayed by the crowd's implied threat: That to release someone who calls himself a king might sit poorly with Caesar. The crowd repeatedly manipulates Pilate with this threat. If Pilate does not find Jesus guilty, they will inform Rome that Pilate is soft on sedition. Politics wins out. Pilate finds himself sentencing a man to death, although he believes the man to be innocent. Proverbs 16:18: Pride goeth before destruction, and an haughty spirit before a fall.